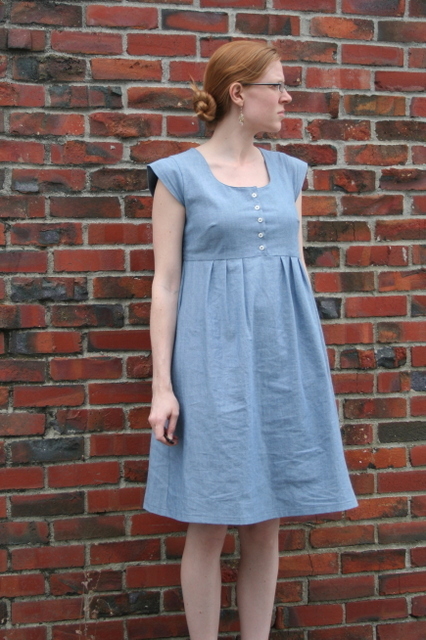 The day after finishing my first washi dress, I went back to the fabric store, this time envisioning a summery chambray version. Jo-Ann’s only chambray featured embroidered red anchors all over it… not exactly what I was going for. Instead, I settled for a very lightweight denim (4 oz/sq. yd.). 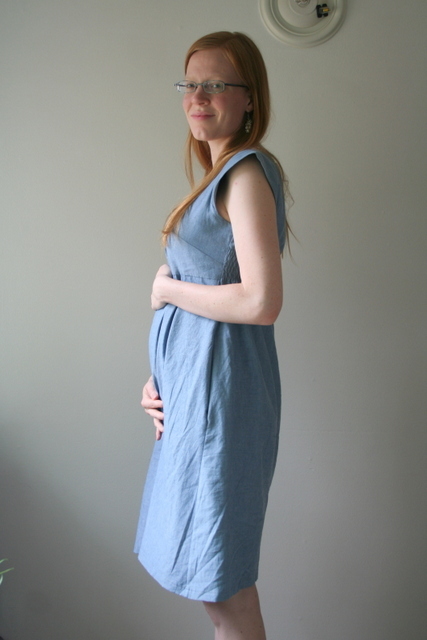 This is actually the “wrong” side of the fabric – the other side is a very blue-blue denim. Along the way, I learned the difference between chambray and denim: chambray is an even weave fabric (over one, under one), while denim is twill (over one, under two). 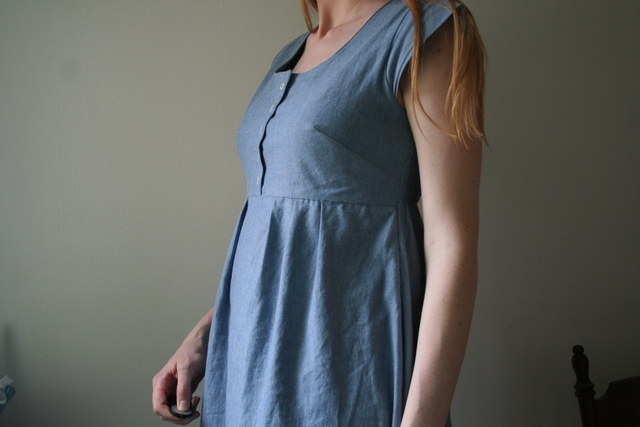 For this dress, I included the sleeves (obviously), and I also made the front button-up. 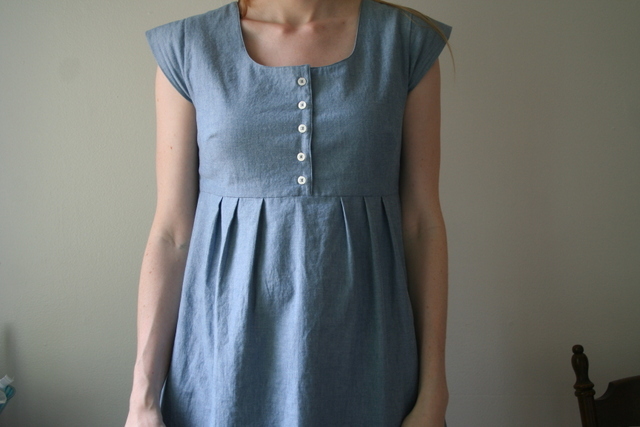 I loosely followed this tutorial for converting the pattern to include a button placket. It was a little fussy to get the lining to still encase all the interior seams, but other than that, adding buttons is pretty easy!